There are many reasons why you want to learn Chinese. It could be as simple as wanting to expand your cultural awareness or just extend you vocabulary. Or perhaps it is because you want to explore the far most reaches of the world and be a world traveler. Any of these and many more reasons could be the reason why to learn Chinese. Learning Chinese could help you in both your personal life as well as your professional life. Many additional doors could open if your repertoire included learning another language. The business world is quickly morphing to Asia and its economic strength and this fact alone could be why we learn Chinese language. Full of deep cultural and historical relavence, visiting China is another primary reason why to learn Mandarin Chinese. This fact alone makes it clear who should learn Chinese: everyone. There are more than 1 billion people that speak Chinese. That,s a lot of potentially new friends, new clients or new opportunities. You might ask, why I want to learn Chinese? Chances are, you will have to converse, do business with or just say hi on the street with someone who speaks this growing, popular lan and why we need to learn Chinese. After all, 14% of the worlds population speaks Chinese and why learn Chinese is important. Chinese is spoken in many countries as the primary or secondary language. If you do business in any of these countries such as Thailand, the Phillipines, Singapore or many other countries, having to converse with associates is good inspiration why we learn Chinese language. Speaking in a common language rather than needing translation, automatically improves any conversation or business deal, and millions of people speak Chinese. It is always enlightening to learn the history of another country. The history and culture of China is rich and deep. It’s roots go back further than most other cutters and it’s history is fascinating. 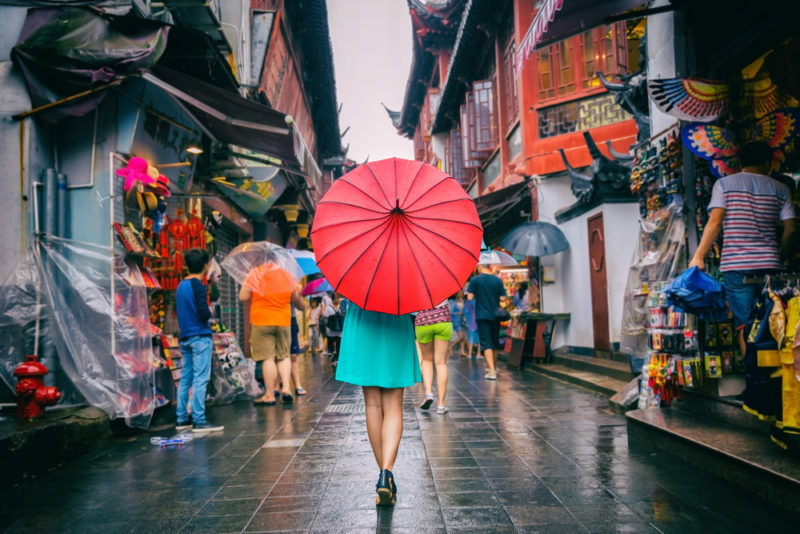 If you are someone that is interested in immersing yourself in great stories, novels, poetry or film, China has a whole world to offer you and understanding it all is another reason why we need to learn Chinese. In fact, watching these films or reading the stories can help explain the country and its vast cultural variety. Participating in this culture is also why you want to learn Chinese. Making friends, conversing, keeping in touch with others across the world is a life enriching experience. If you choose to widen your scope of friends to multi- cultursl, China is a great country to find new people. You can deepen you social circle in other countries, and if this is a desire of yours, you are someone who should learn Chinese. As mentioned before, learning Chinese is good for business. There are so many customers, clients and companies that speak Chinese either as a primary or secondary language. Getting a leg up on other competitors through enhanced language skills can be another point for why to learn Chinese. It can’t be overstated the value of speaking the language of the clients you are trying to win, the sale you are trying to make or the deal you are close to closing. Common language bridges gaps. Perhaps you are nervous about learning and you question why I want to learn Chinese if it’s so complicated. In actuality, it is not really as complicated as some languages. There are no verbs, no tenses and no plurals. In fact for the most part it has none of the complications of other languages. You might find as you ask yourself why to learn Chinese language, that you are simply afraid. Don’t let fear of learning become a reason not to pursue this dream. Perhaps the artistry of the language was not what first encouraged you why to learn Mandarin Chinese but it will be a side benefit. The writing of Chinese is very flowing and artistic and can also be very calming as you enter into the written magic of the language. it is something that flows off the pen and is almost like making a picture, except this time it’s a picture that literally tells a story. Did you know that you use both sides of your brain when you speak Mandarin? Studies show you do so and just the increase in how you exercise your brain when speaking is a great reason why learn Chinese is important. We are always looking for ways to increase our brain power, this is one great way with a lot of side benefits. Plus, learning a new language is a lot more fun than doing a crossword puzzle. With so many people worldwide speaking Mandarin Chinese, you can travel to the most exotic places with the confidence that you will be able to speak and understand your surroundings. If you want to travel the world and see new places you are someone who should learn Chinese. In fact, the options of where you can travel and be understood is increased exponentially when you learn Mandarin Chinese. The Chinese culinary options are a plate to behold. Everywhere in the country you have a huge variety of food options sure to soothe your palate as well as your hunger. Just being able to understand and order from a menu in China is reason enough why you want to learn Chinese. As you travel the Chinese countryside, you will be flooded with different foods, styles of cooking and types of foods unique to that part of the country. Learning a new language can be a lot of fun. In addition, as shown throughout, there are plenty of good reasons why we need to learn Chinese. So don’t be afraid, there are ways to learn and people who can teach you if you are really interested in taking that step toward self-improvement and learning something new. Why Don't People Study Chinese More Often?